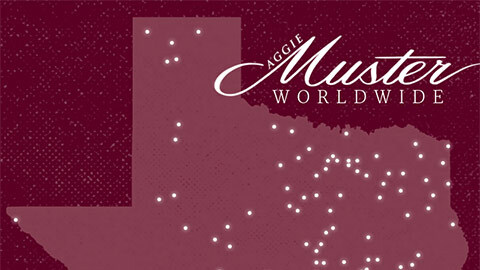 This year, Aggies everywhere are hosting Musters as early as April 12 and as late as April 29. In some cases, that’s because April 21 coincides with Easter in 2019. But every year, there are Musters held on dates other than April 21. And the reasons vary widely. “We have a bit of a unique situation because we live in Saudi Arabia,” said Joy Miletic ’00. She and her husband, Zvonimir ’01, have hosted a Muster every year since 2015 in Dhahran’s residential community built for Aramco oil company employees. “There's a large park and playground right behind my house, so we can open my back gate and the kids can all play outside while the adults catch up,” Miletic said. Most who attend also live in the gated Aramco community. But even so, getting together on a weeknight isn’t easy. “Because a lot of families have activities in the evenings, and it gets dark at 5 p.m. here during that time, we wouldn't be able to have kids at the playground and visit in the backyard,” she said. “We ask around to see what date works best.” Normally, that’s the weekend before or after April 21. The Dhahran Aggie Club Muster typically draws a crowd of 50 to 75 Aggies and family. Last year’s was April 27; this year’s will be April 19. You can also connect with them via their Facebook group. Dhahran Aggies saw 'em off at Muster in 2017; photo by Mohammad Al-Baqami '16. 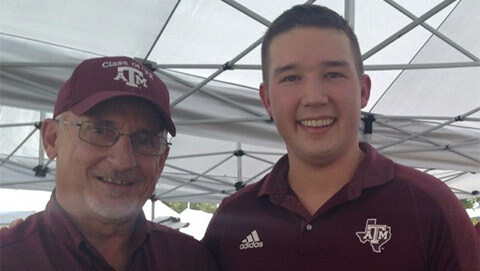 “As spread out as we are, it's easier to host it on a Saturday or Sunday,” said Jordan Meserole ’05, who’s working with Jerry Hansen ’69 to organize Muster this year. “We cover five counties and even cross three states,” Meserole said. Holding the event on a weekend, he said, gives them “the ability to draw maximum crowd, versus asking someone to drive two hours through rush-hour traffic to come join us on a weeknight. Hansen said, "We have folks come from all over - Lancaster, Pennsylvania, area; Southern Delaware; and even Princeton, New Jersey." Last year’s Delaware Valley Texas A&M Club Muster was held on April 29 in Philadelphia; this year’s will be on April 20 in King of Prussia. You can also find the Club on Facebook. This year, the Delaware Valley Aggies will hold their Muster at the same location where they held this 2016 Muster and many others in recent years: Maggiano's Little Italy restaurant in King of Prussia, Pennsylvania. Distance is also a factor for the more than 300 Aggies of the Blue Ridge Mountains area. “We try to alternate each year between Roanoke and Blacksburg/Christiansburg, which are two of the areas with the highest concentration of Aggies in our region,” said Jenni Caswell ’04. “It really is a puzzle every year to try to figure out the best time to host,” she said. “This year, I was excited that Muster fell on a Sunday… until I realized that was also Easter! So, we are having it a week early, as we figured a holiday may be difficult for people to commit to. “Last year, we met at a brewery that one of the local Ags has ties to, so we had to work around the venue's schedule, too. This year’s Virginia Blue Ridge A&M Club Muster will be April 13, and like many Musters, they’re doing the side dishes potluck-style by last names: If your last name starts with A through M, bring a dessert; if you’re N through Z, bring an appetizer or side! The Aggie-owned Italics Winegrowers vineyard in Napa Valley will host this year's San Francisco-area Aggies. This Club also covers a large region - “from Silicon Valley to Napa Valley,” said Muster chair Karissa Moreno ’06. And they try to balance convenience with cost. Venues in San Francisco can get expensive, especially if April 21 is a Friday or Saturday. Muster falling on Easter this year actually opened up an opportunity for the Club, said Moreno. And so, with the help of Aggie-owned winery Italics Winegrowers, the 2019 San Francisco Bay Area A&M Club Muster will be a “destination event.” There will be a Saturday night dinner and Muster program at the winery, and Moreno said the Club expects that “many attendees will opt to spend the day or the weekend exploring Napa Valley. "And we were still able to keep costs consistent with Muster events in the past!" They started publicizing the unusual destination and date months in advance, she said. 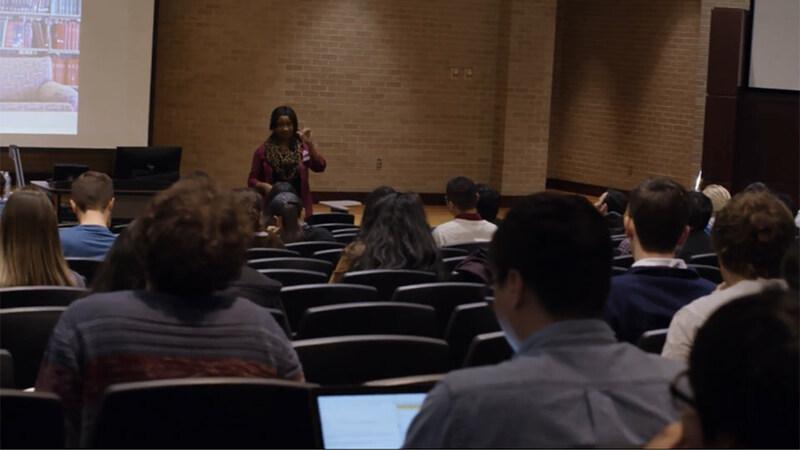 The Club also arranged signups for Aggies wanting to carpool or split a room, plus providing information about hotels and Airbnbs. Find details at tx.ag/SFBAMuster2019. Around 45 have already signed up, and Moreno said she’s getting more hotel inquiries as the date draws closer. “We'll send out a Napa Valley visitors guide soon with things to do in the area, restaurants, and favorite wineries and tasting rooms to visit,” she said. 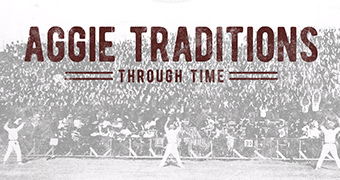 Gifts made to The Association of Former Students support A&M Club programs and provide Muster services such as the Speakers Bureau, Muster packets mailed to chairs, daily updating of the Worldwide Roll and more. Add your support at tx.ag/give.